I really don't see what other people are seeing on her hooves? I thought it was maybe shine or just some padding. From what I read in the Comments after the article, there were people who saw the shoes, maybe in person, or maybe from watching the feed as she was walked around the ring. I saw the photo from the Bloodhorse and I can totally see what you are describing. 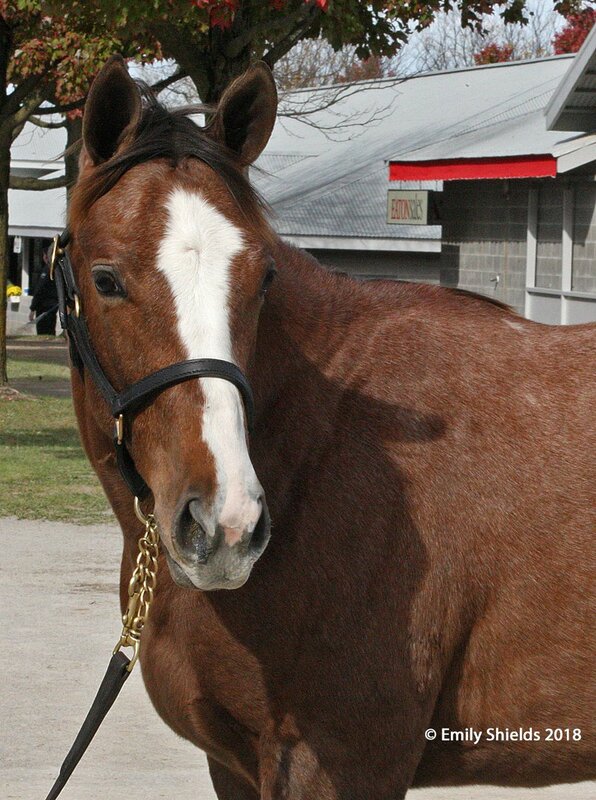 That said, if you look at the photo of the filly from Twitter, you can zoom and see no nail holes, or shoes. You can also see the walking paths are stone dust. I really do think they painted her feet, walked her over to the ring, and the dust has stuck to her feet. it wouldnt really make sense to shoe her between the twitter pic and sending her into the ring, i guess. really wish i could find a video or extra in-ring pics. She's got the face of a princess. Yeah she started greying out early, you could see it in the pics they posted early in the summer. It will be fun to watch her get lighter and lighter! Reachfortheheavens, carrying a full sibling to Real Solution (Kitten’s Joy), went for $100K to Thorndale Farm. Anyone know who Red Scarf Racing is? The name does not show up in Equibase. Its a new entity. No horses have been bought under this name before the 2018 Keeneland sale. To me it looks like a regional breeder looking for cheaper mares who have strong pedigrees. They got some REALLY cheap mares with really nice families. What is Ken Ramsey supporting now? jk - I, too, always worry about those who sell "cheap" or dont even draw a bid (imagine going to a sale and RNA (0)... ugh). These are descendants of Matlacha Pass, Educated Risk, Silverbulletday, Twist Afleet, Angelic Song(full sister to Glorious Song), etc. Interestingly, Twisted Sis(A.P. Indy - Twist Afleet) foaled in Saudi Arabia in 2017 but was sent back to the US. Pretty sure I Want Revenge sells today. 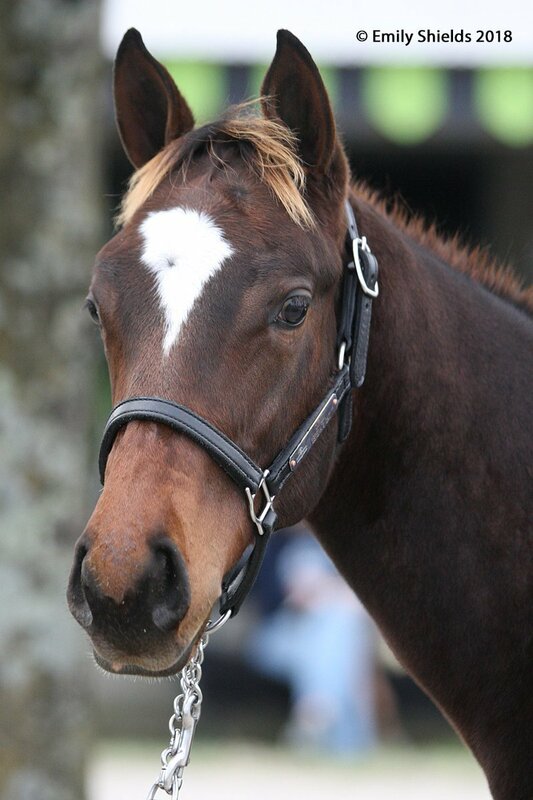 These cheap mares "in foal to" - is the buyer also responsible for the stud fee? Stud fees have to be paid by the seller before the mare goes through the ring. There doesn't seem to be a high correlation between "looks" and sale price.